Whether you own a business or keep a lot of personal data on your digital devices, the truth is, it can all be gone in a flash. After my own personal experience with a quickly dying computer about a year ago, I’ve been on my soapbox about reminding people to back up their data. The sad part is, I continue to find people who have never even thought about backing things up. And, once again, I had a weird technical event that reminded me to remind you to backup your backup. There is nothing more frustrating than investing hours, days, months, years in creating a project and having it all disappear when your computer suddenly does a crash and burn. I had a situation recently where I was working on a document and when I went to save it, the program crashed and restarted but there was no autosave file to recover. I looked everywhere and even contacted a community forum where respondents were very kind but could not offer a solution for file recovery other than the steps I had already taken. While the loss of a file in that manner is a bit unusual, the most common culprit is not backing up your devices. I feel I cannot remind people often enough. Every time I bring up the subject I meet people who lost some important part of their lives because they didn’t back up their stuff. In the last few months alone, I’ve heard of someone who lost nearly 10,000 digital photos, an author who lost his entire novel, someone else who lost years of contacts and business data, another who kept everything on a portable drive until the drive died. I could go on, but you get the point. In the IT world, there’s a belief in redundancy. In the prepper world, the saying is two is one and one is none. Whichever mantra you prefer doesn’t matter, as long as you’re taking the time to REGULARLY back up your digital devices. 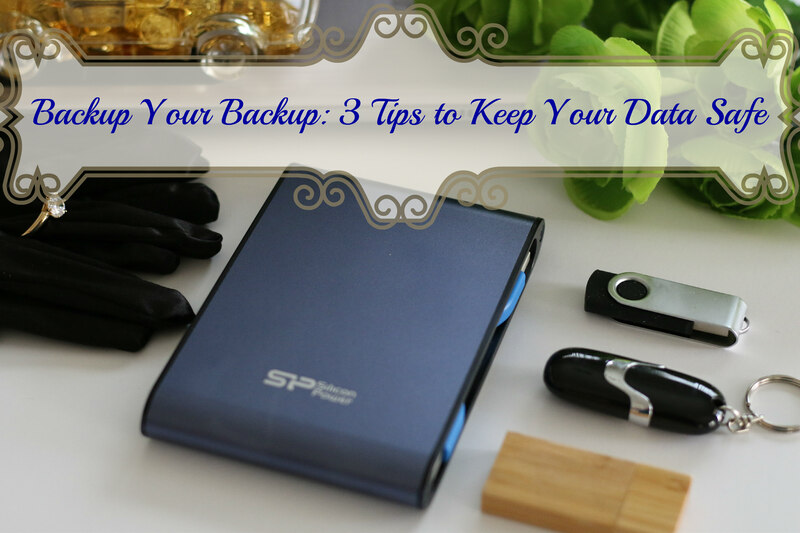 Take the time now to research and decide what is the best backup routine for you – and stick to it! I copy files every night to the cloud, then once a week copy to an external drive. I would recommend at least one external drive and a cloud backup of some sort. If you can do two external drives and keep them in different locations, one offsite, plus the cloud, that’s even better. Of course, it all depends on how much space you need. Back up all your devices. Desktops, laptops, tablets, phones, flash drives, memory cards – copy all of it. Check with your cellular service to see if there is a secondary way to backup your phone. You might also want to download your contacts from your phone on a regular basis…just in case. Don’t forget about your website. Check with your ISP/host company to verify that your entire website is backed up. In my case, the database is backed up but any external items I’ve added, such as images, videos and files are not. Twice in the last couple of months, I’ve updated my website and it completely crashed. It hadn’t happened in the previous decade but suddenly it happened twice in a short period of time. If something bad happens to your site, you want to have as little downtime as possible. I use FileZilla to transfer all my files monthly, then back them up to the cloud and on external drive. Weird things happen when it comes to technology, so always, always, always be sure to backup your backup! I’d love to hear how you keep all your digital data safe. Please share in the comments below. This entry was posted in Aunti Cindi Presents, Emergency Preparedness (EP), Tame Those Pesky Details (TTPD) and tagged Aunti Cindi, Aunti Cindi Presents, cloud storage, data backup, digital data, digital devices, Emergency Preparedness, entrepreneur, female entrepreneur, fempreneur, FileZilla, offline storage, redundancy, small business owners, Sparkle On, Sparklers, Tame Those Pesky Details, websites on May 10, 2016 by Cindi. 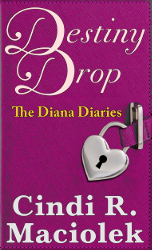 Follow the journey of Diana MacKenzie as she forges a life for herself in her new home town, Las Vegas!